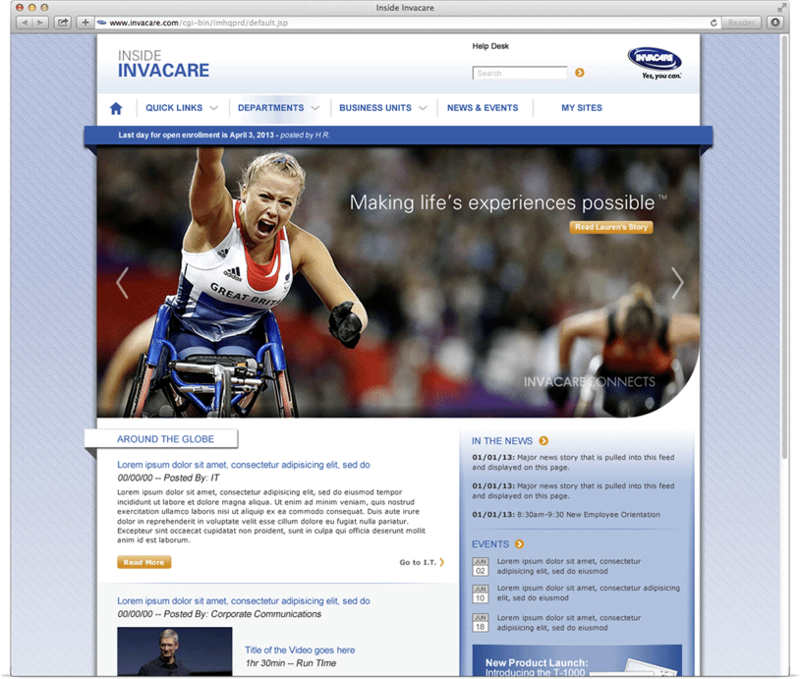 View our recent website, intranet and mobile application projects. 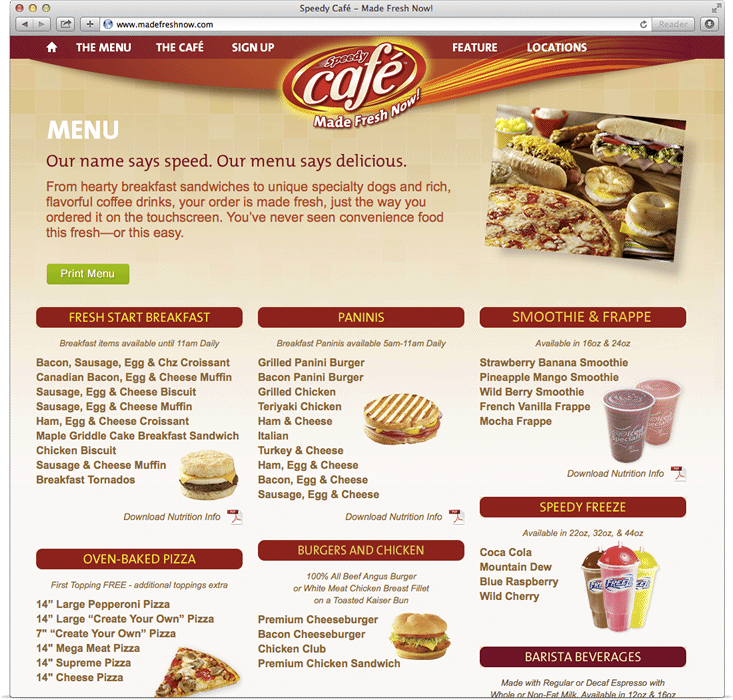 Take a look at some of our recent successful projects for leading companies like yours. 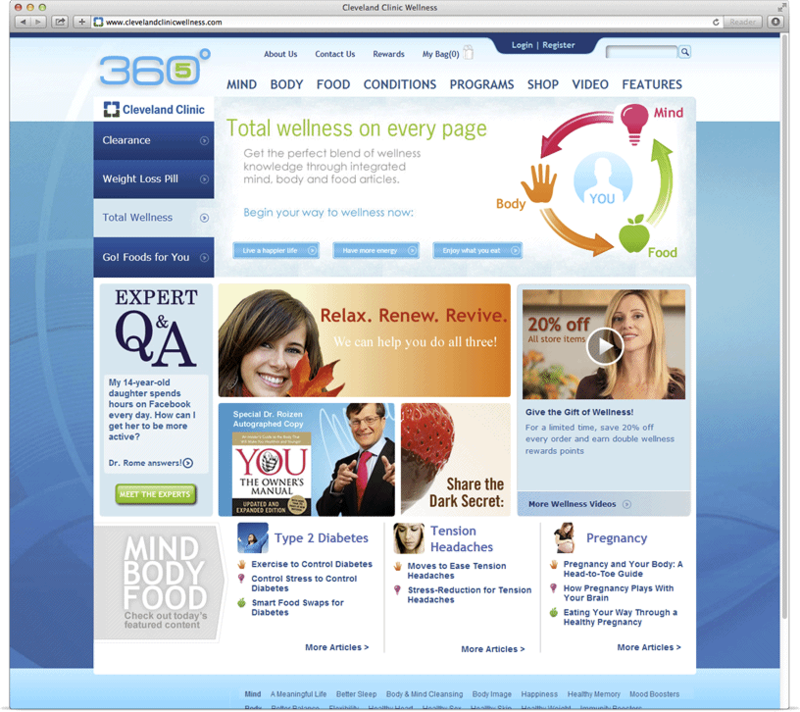 Bennett Adelson crafted an industry-leading website user experience for the Wellness Institute at the Cleveland Clinic providing an online destination for truth and guidance for your "total wellness journey" in life. 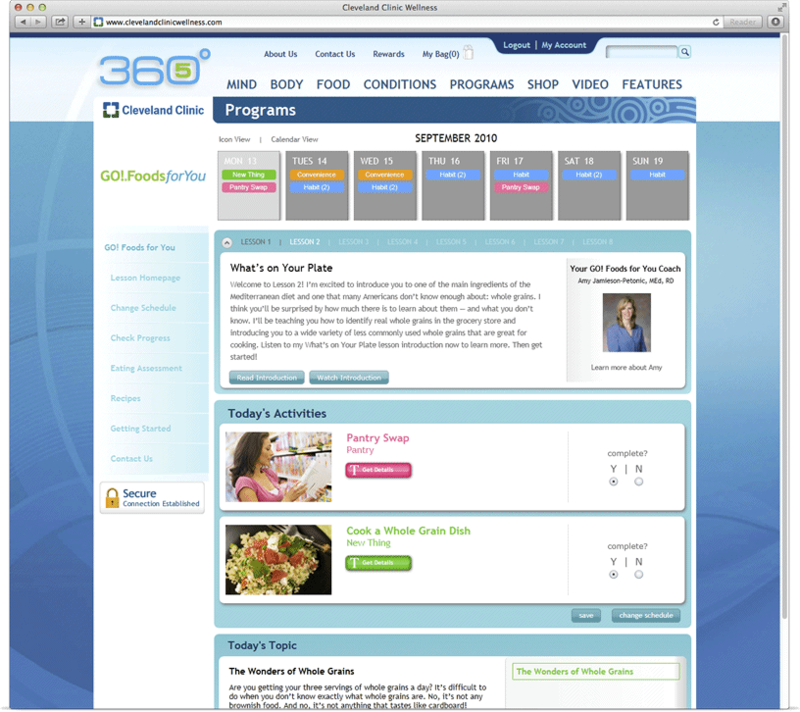 The site was designed to collect customer segmentation data to proactively offer targeted health and wellness solutions suited to personal needs. 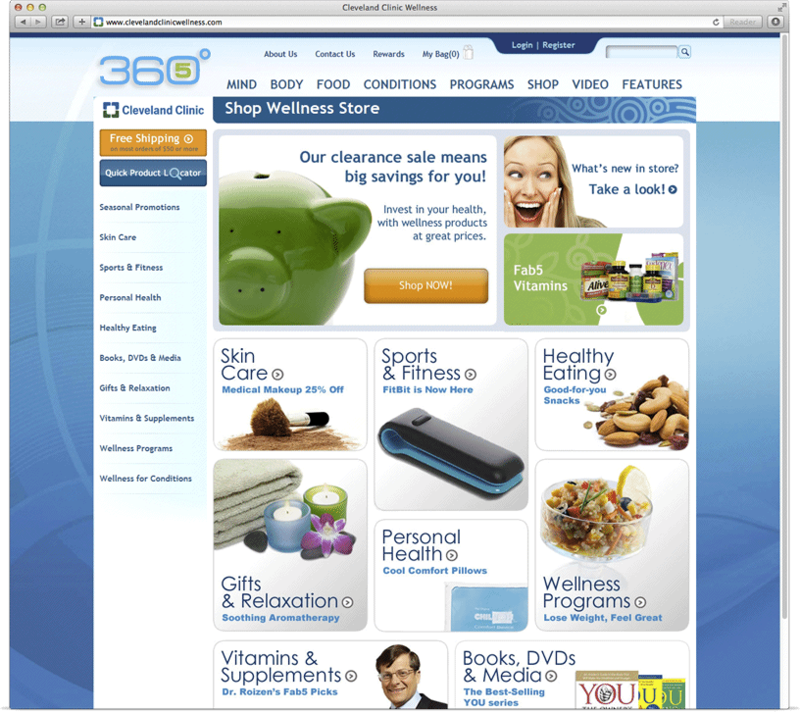 The site experience delivers eCommerce capabilities as well as educational articles, personal health gadgets, interactive wellness games, clinician videos, personal profiles, and coaching programs. 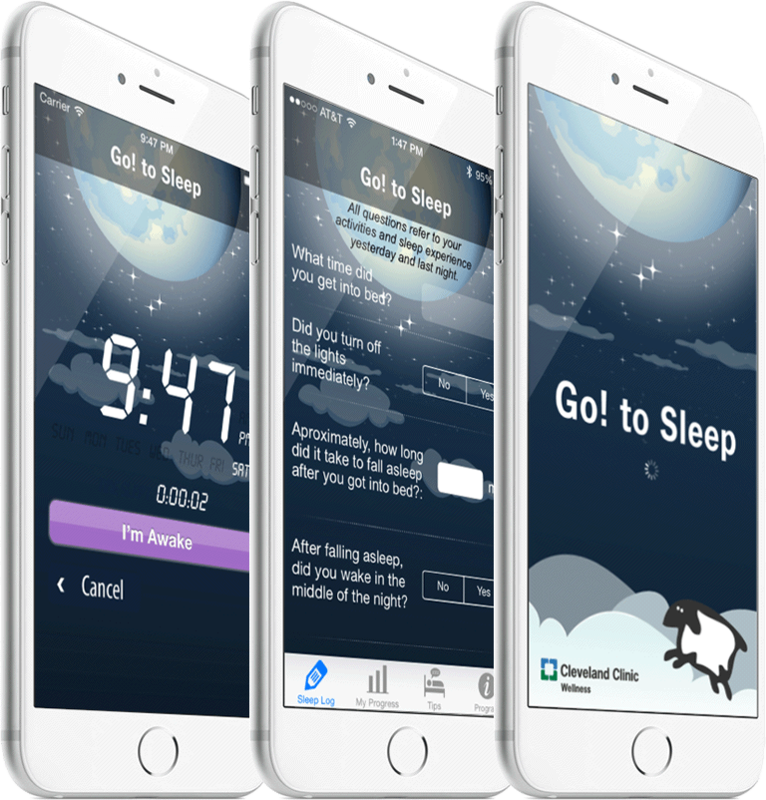 Bennett Adelson created a custom mobile brand experience for the Cleveland Clinic's 6-week online coaching program designed to help proactively improve the quantity and quality of sleep -- Go! 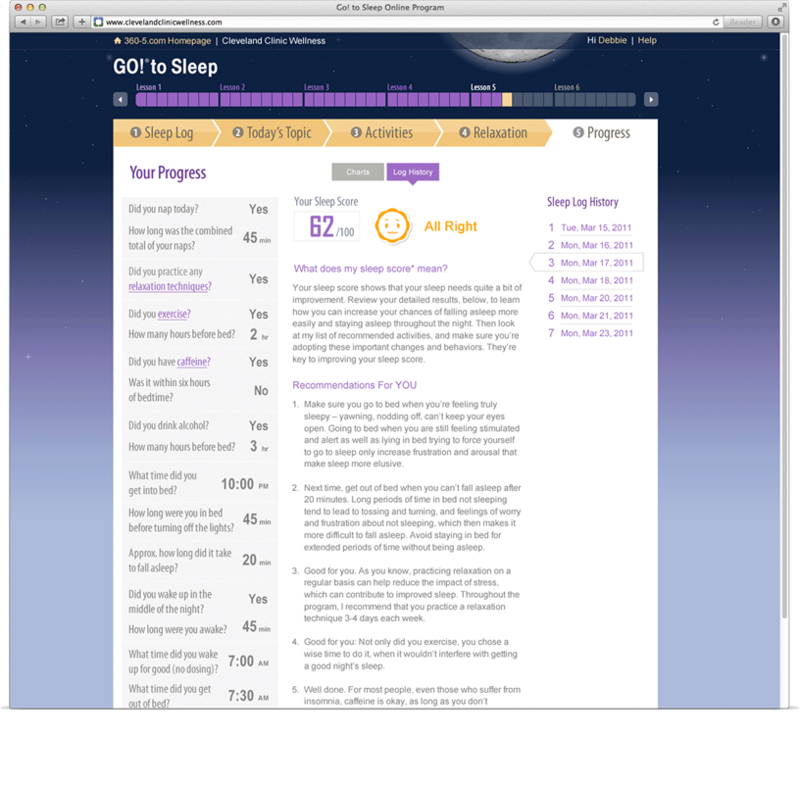 To Sleep. 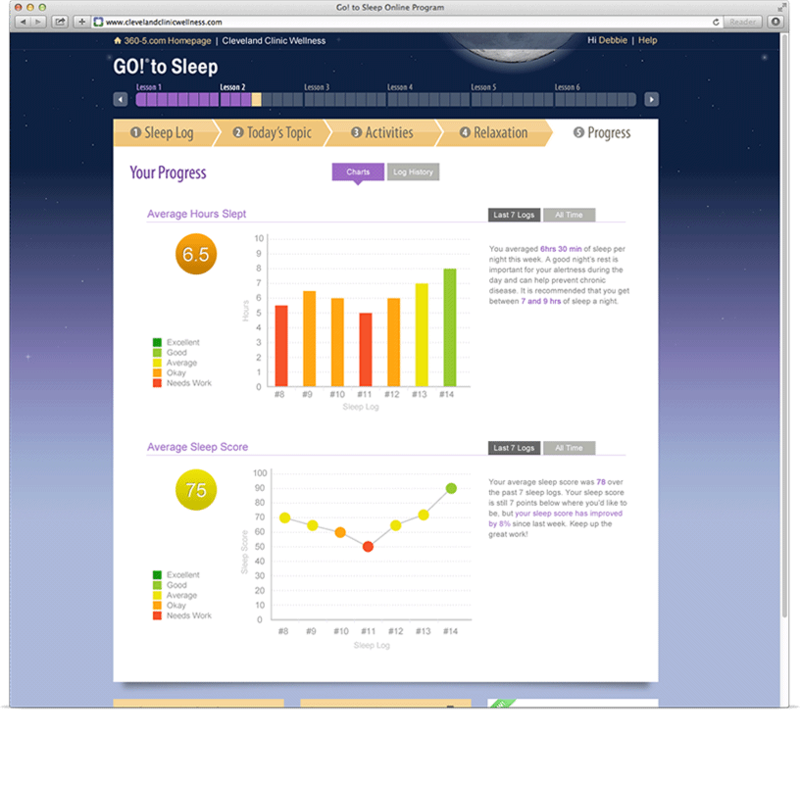 The app generates and tracks your personal sleep score based on lifestyle behaviors. 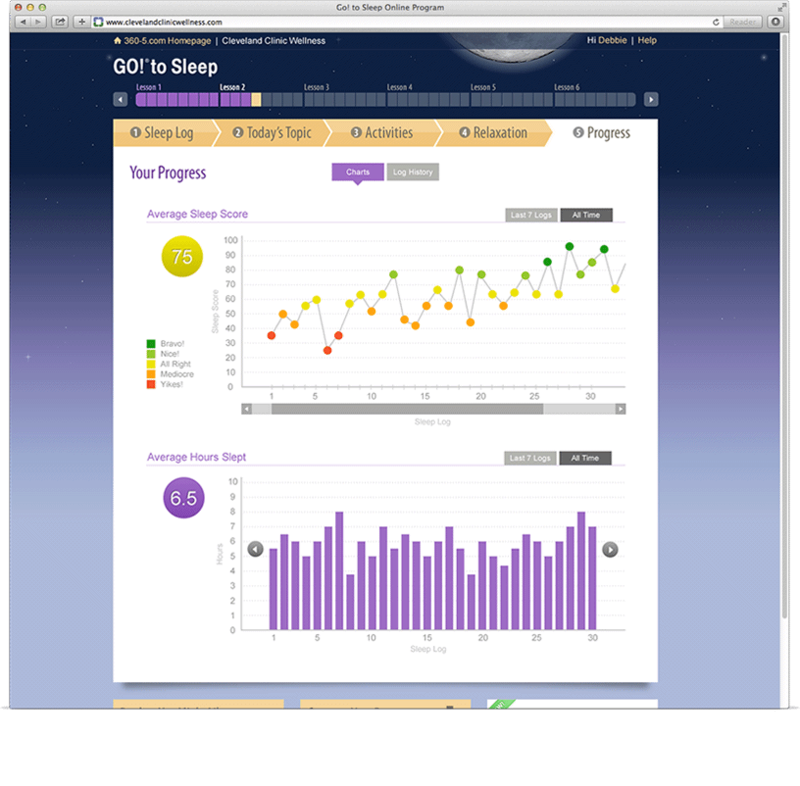 The paid mobile app upgrade includes sleep score history, a personal progress tracker, and daily sleep tips. 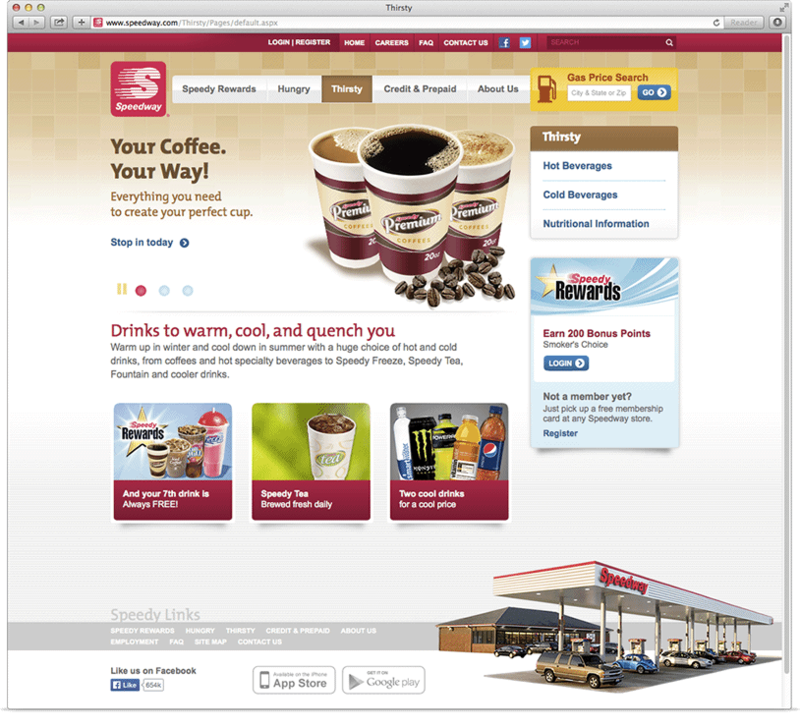 Bennett Adelson designed a homepage utilizing space to bring high traffic components to the forefront. 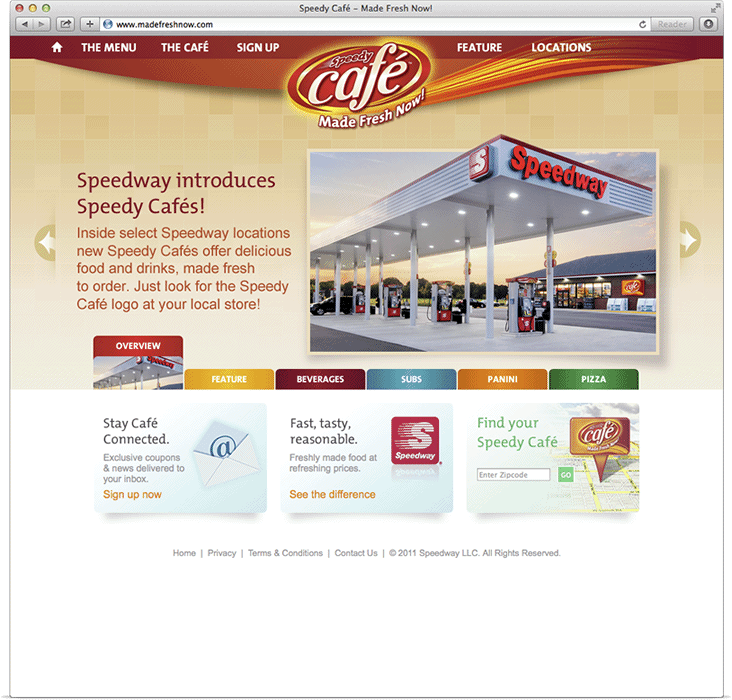 Gas price search, Speedy Rewards login, and multiple promotion areas are all visible upon initial page load. 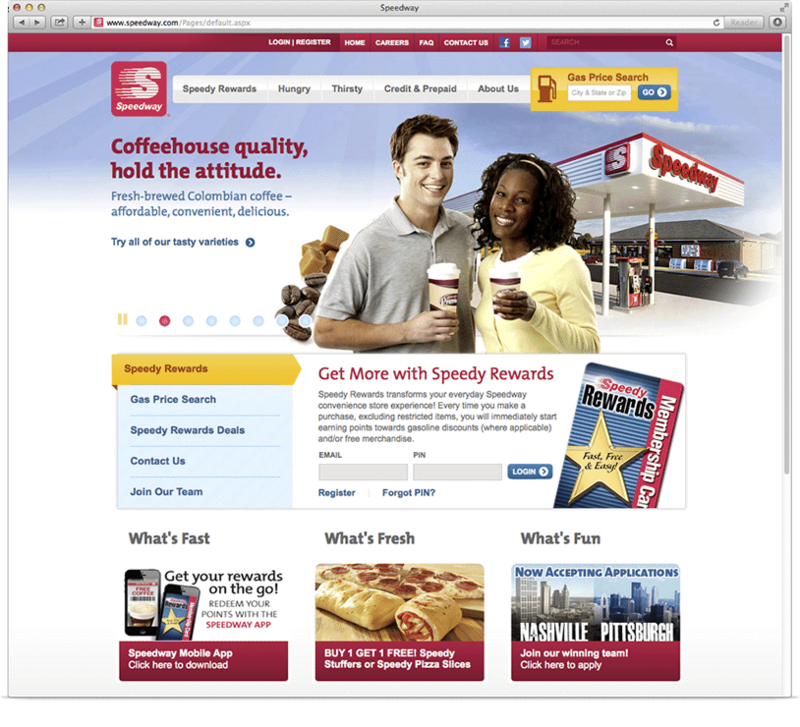 The Speedy Rewards homepage has been optimized to allow for easy login. 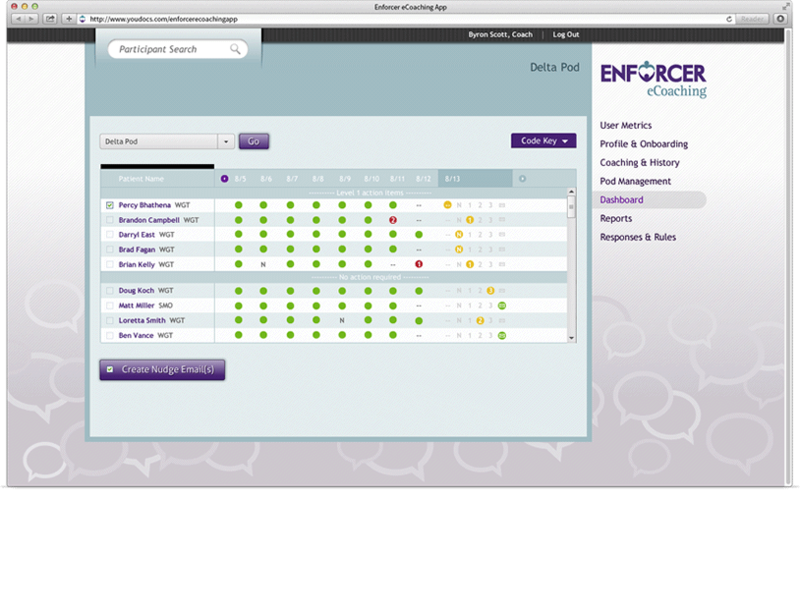 Once logged in, customers find an enhanced navigation that allows them to find the necessary information faster than ever before. 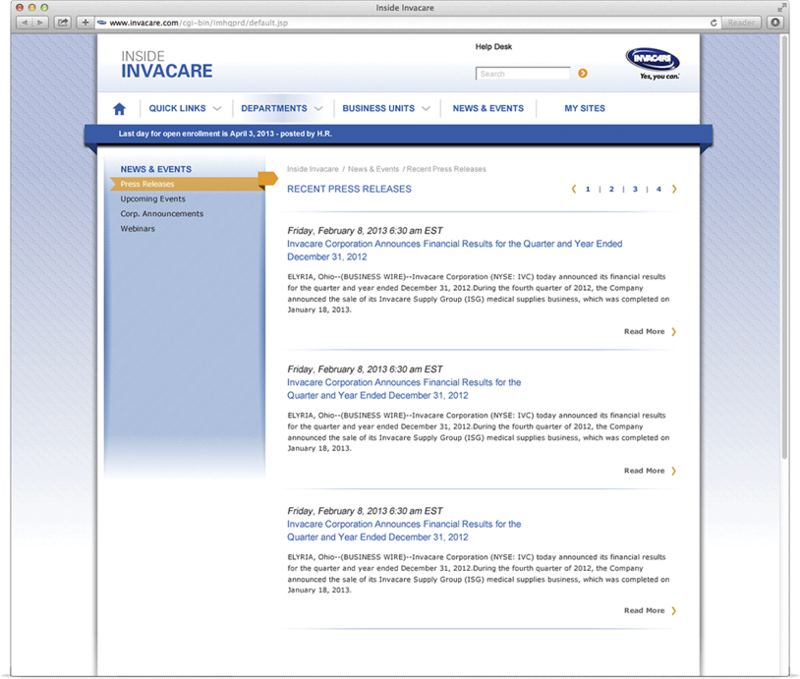 As part of a large enterpise technology endeavor within Invacare, Bennett Adelson redesigned and implemented their new INSIDE INVACARE intranet, leveraging SharePoint 2013. 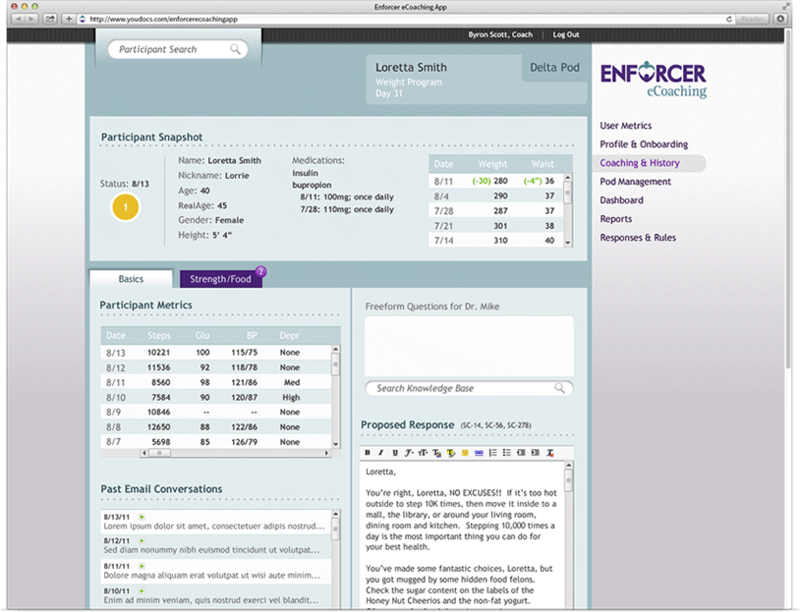 After conducting user and stakeholder interviews, Bennett Adelson designed a new employee intranet that included out-of-the-box features and specialized customizations that allow users to search for the most current and updated documents, collaborate and communicate amongst and between departments, and learn about new products and service offerings. 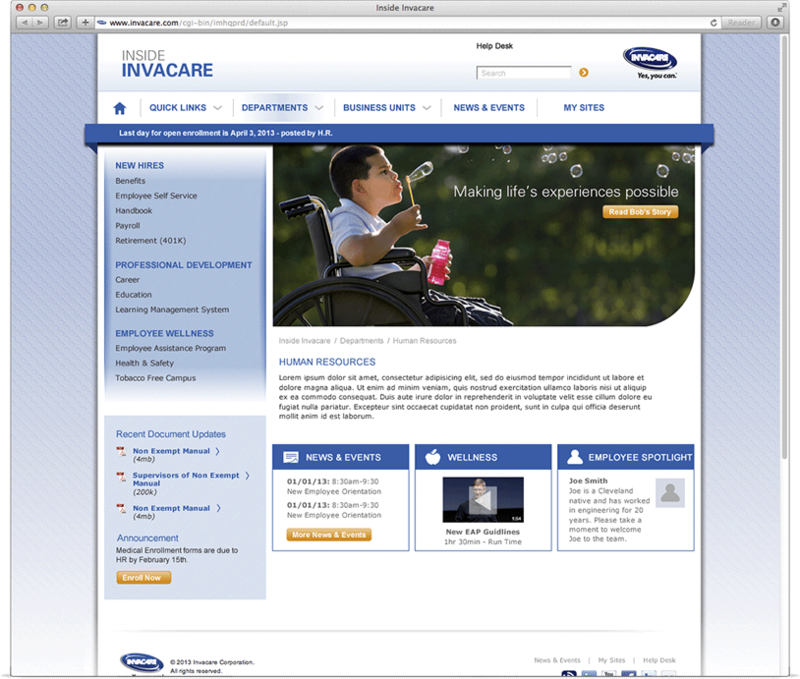 INSIDE INVACARE provides employees with the ability to stay connected even as a global company. 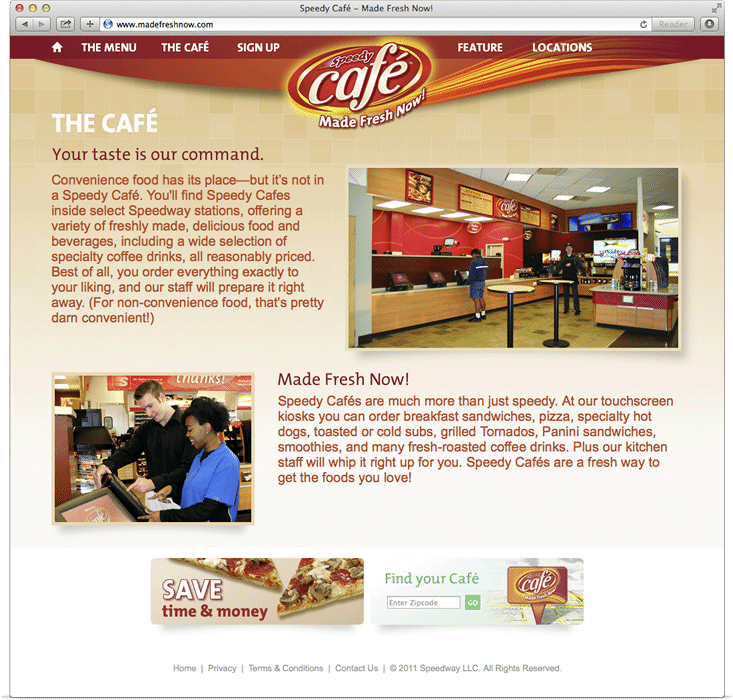 Leveraging various technologies Bennett Adelson designed the "Made Fresh Now" microsite to complement the in-store experience and visual merchandising of the store. 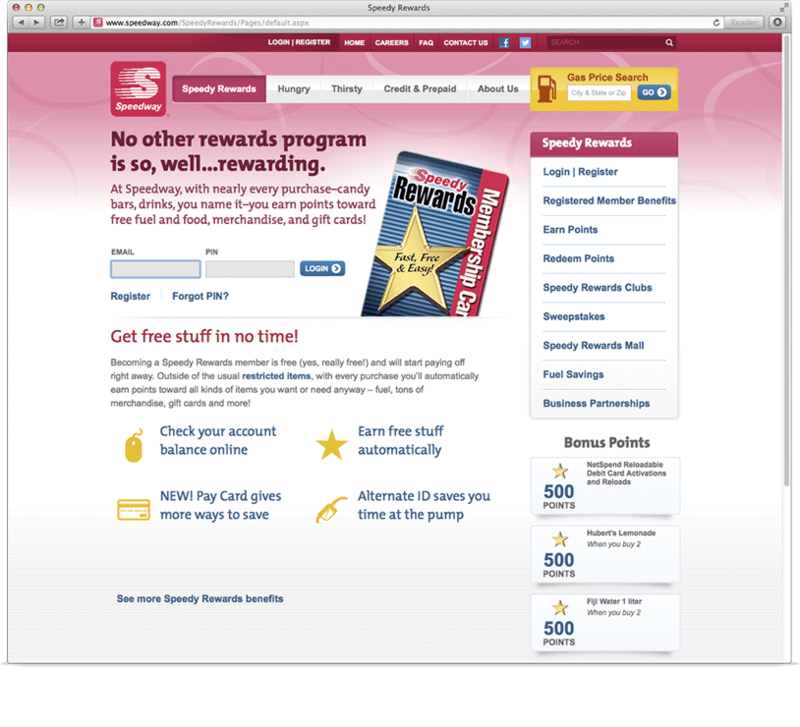 A robust couponing system was implemented that utilized a unique UPC code to allow tracking and prevent fraud. 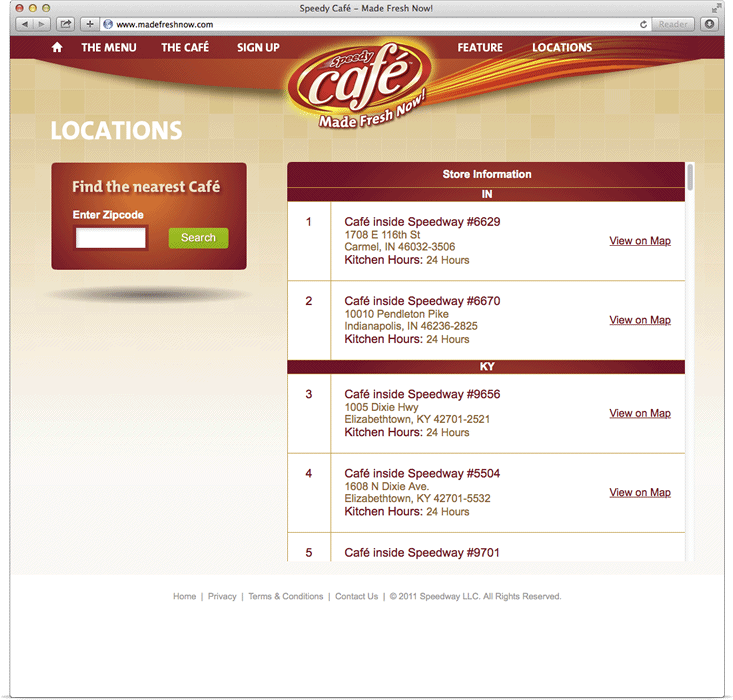 A customer centered forum allows users to submit comments about the service, new product offers or ongoing promotions. 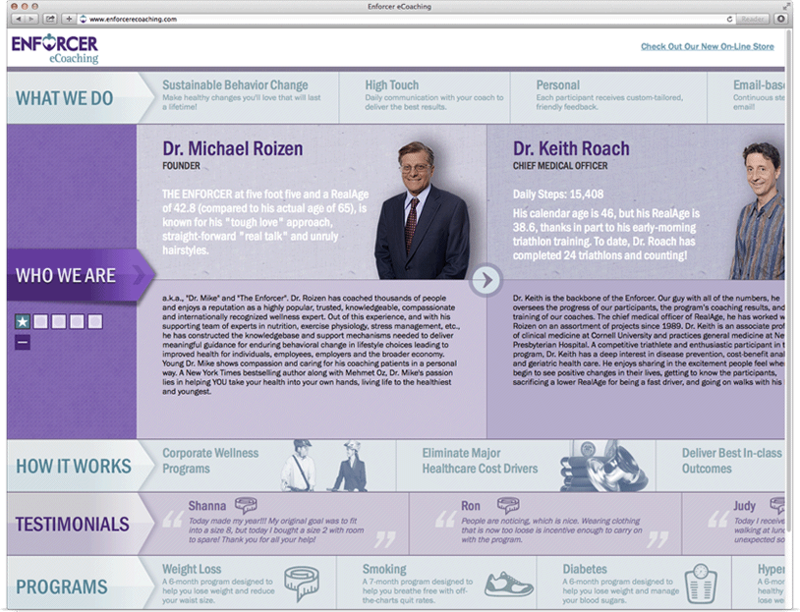 Benesch wanted a way to set themselves apart from the competition when trying to recruit new law graduates. 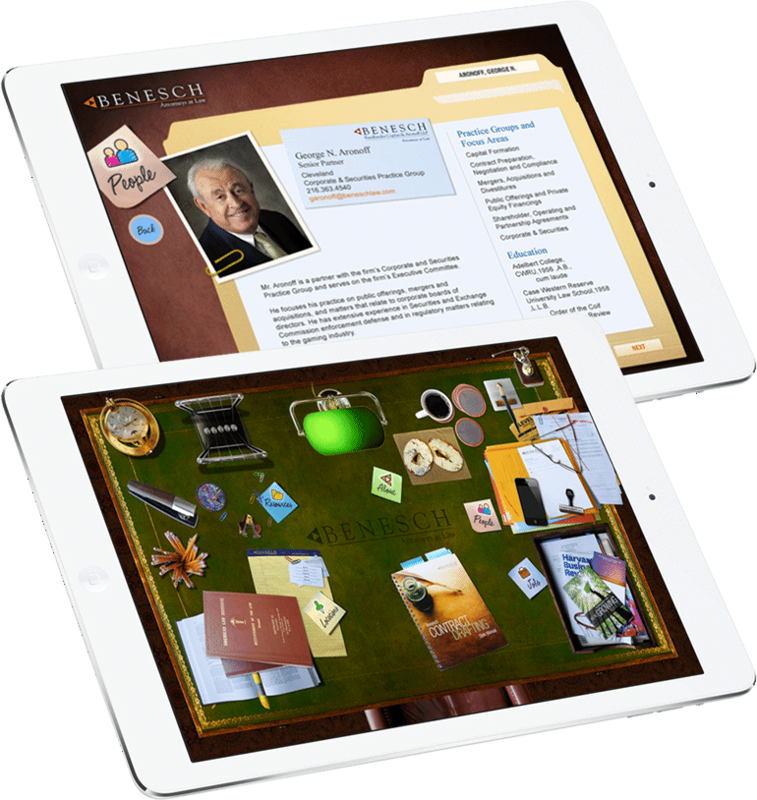 Understanding that technology was instrumental with a younger user group, they hired Bennett Adelson to design and develop both an iPad and a mobile app to achieve this goal. 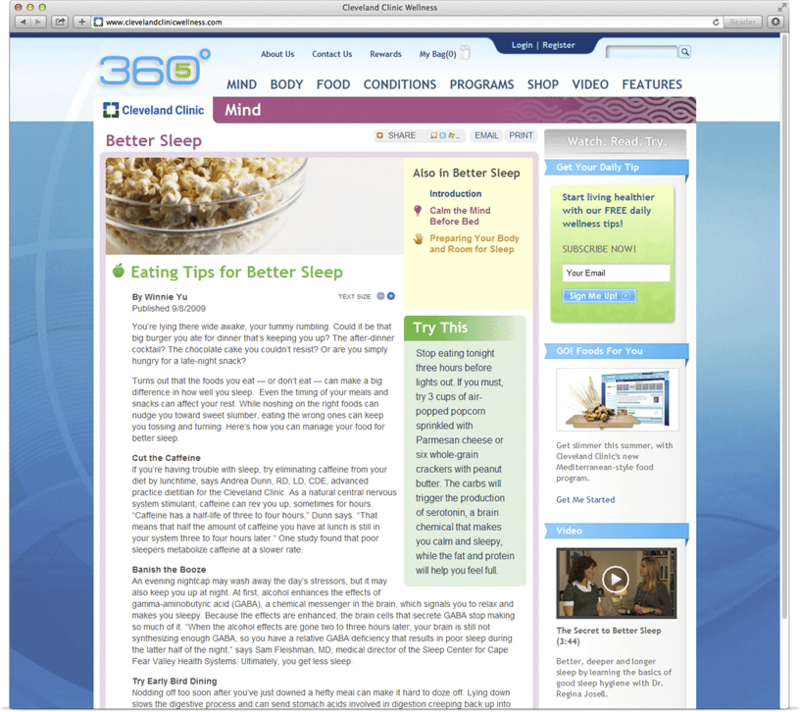 Through the use of an interactive desktop, users have the ability to play with objects such as: legal notepads, a desk lamp, a coffee mug, sticky notes, and a stamp that imprints, "Confidential." 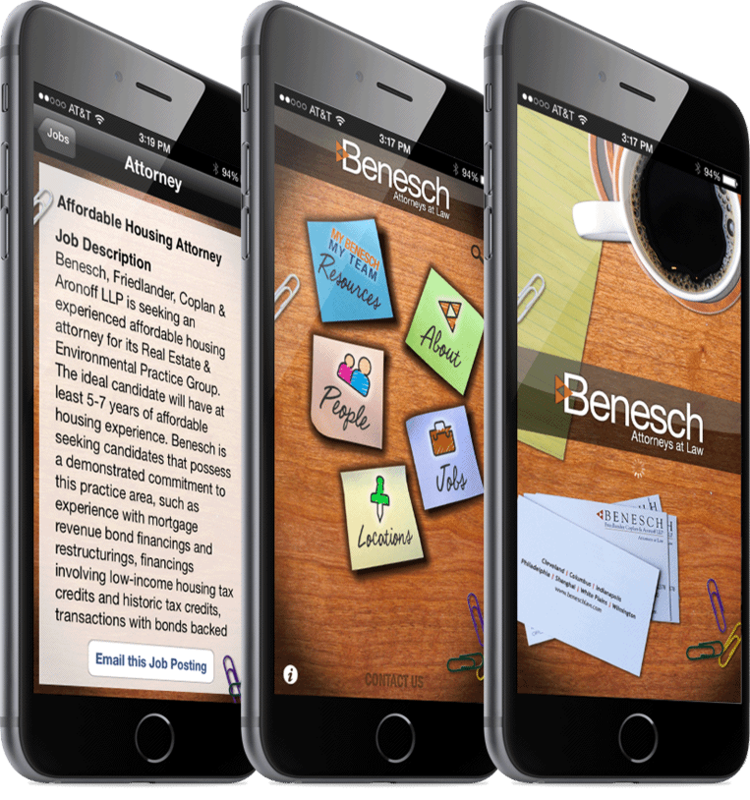 The app also features key information about Benesch, their partners, service offerings, upcoming events, and job postings. 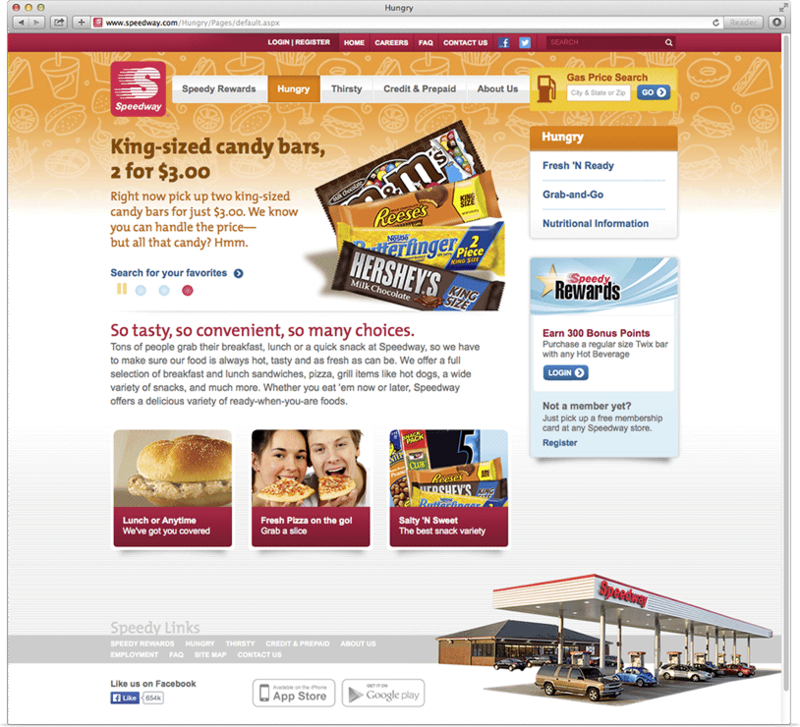 In 2011, Benesch Apportunity took home a Web Marketing Association WebAward for its unique concept and design. 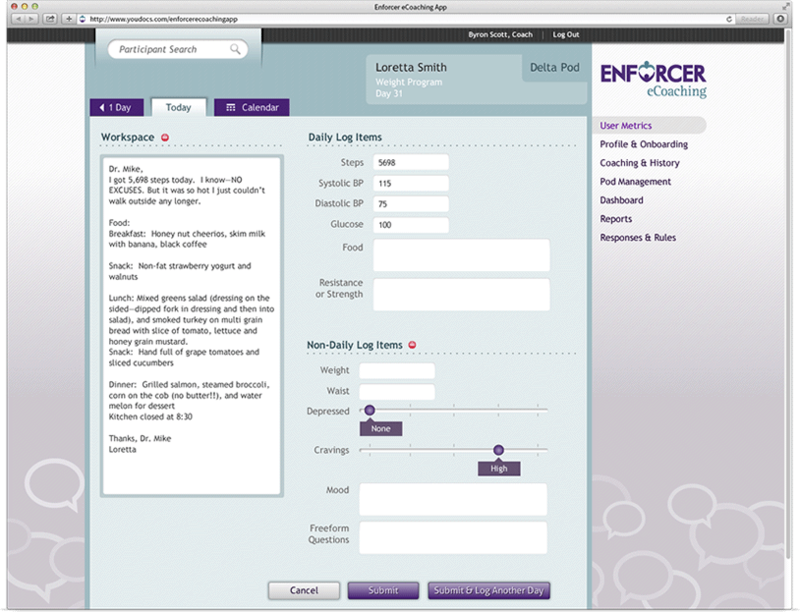 Bennett Adelson designed and built a highly interactive marketing website, web-based coaching app, and brand identity for Enforcer eCoaching, an email-based health coaching company offering a series of interactive, personalized, high-value wellness programs. 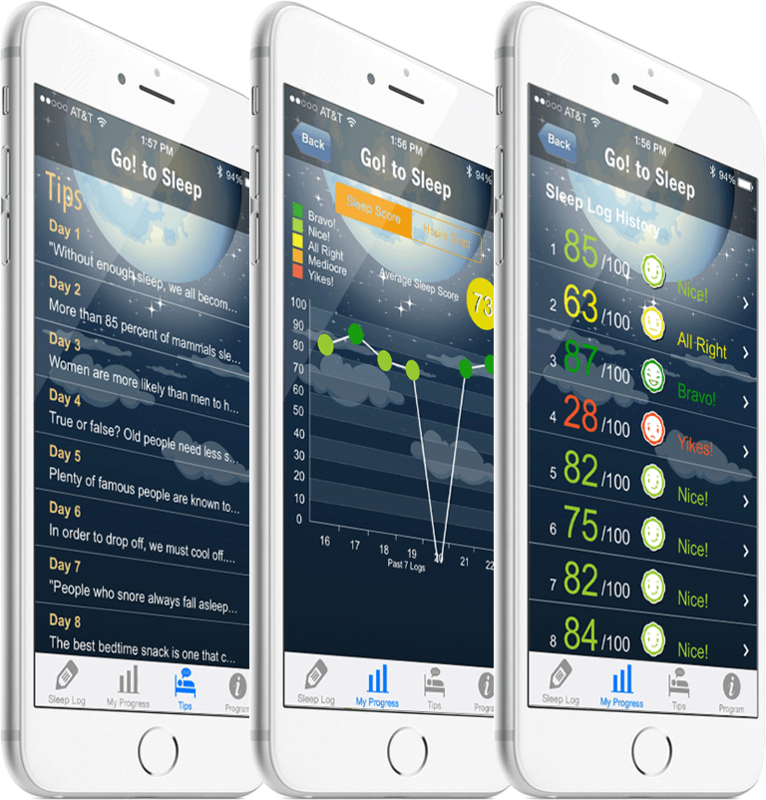 These programs produce enduring behavioral and environmental changes, resulting in disease reversal and greatly improved quality and vitality of life for participants. 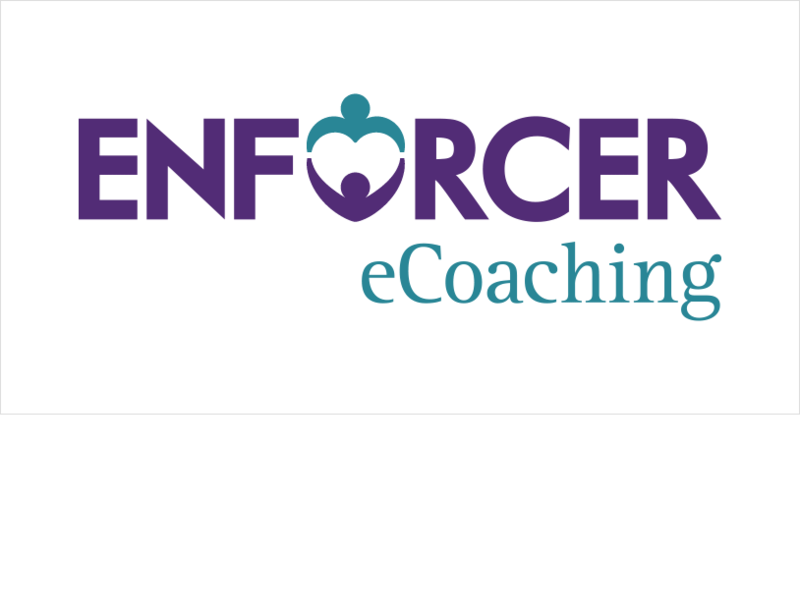 The program is led by Dr. Michael Roizen (known as the Enforcer) and a team of real health coaches — trained experts in areas such as nutrition, smoking cessation, exercise physiology, and stress management.